Bitcoin and other cryptocurrencies have grabbed headlines ever since their market prices began to see a spectacular rise last year. Governments, public agencies, financial institutions and large investors (including Warren Buffett) have spent a considerable amount of time commenting on cryptocurrencies during this entire period. But does crypto deserve so much prominence and attention (mostly negative) that these institutions and individuals have been showering on it? Just recently, Facebook, a favorite tech stock among global investors, saw its value drop by almost 20% or $120 billion in one day. Considering that the market cap of all cryptocurrencies was around $677 billion at the turn of 2018, the drop in Facebook’s stock represents nearly 18% of the entire crypto market cap worldwide. Looking at the current rates of Bitcoin, Facebook’s single day drop in market cap is equivalent to nearly the entire Bitcoin market cap! Time magazine reported that Mark Zuckerberg lost more than $15 billion (one-sixth of his net worth) in just five minutes when Facebook’s stock price dropped. So, who is really more unstable – the so-called ‘invincible’ tech stocks like Facebook or cryptocurrencies such as Bitcoin? The real flippening will occur when the Winklevosses, via their crypto investments, have a higher net worth than Mark Zuckerberg. It may seem outlandish at the current time, but I suspect it could occur sooner than most people would imagine. Amazon’s Jeff Bezos alone is now worth more than $140 billion (as of June 2018). At this level, Bezos could potentially purchase nearly all of Bitcoins in the world today. Clearly, the stakes currently are much higher for the global economy with regard to stocks such as Amazon or Facebook rather than cryptocurrencies, which appear to be continuing their journey of consolidation and setting themselves up for a potentially much bigger future. The combined value of the world’s banknotes and coins in circulation at present is about $31 trillion. The world’s total above-ground gold reserves at present, according to the World Gold Council, are 187,200 tons. Bitcoin, on the other hand, has a maximum of 21 million coins worldwide. 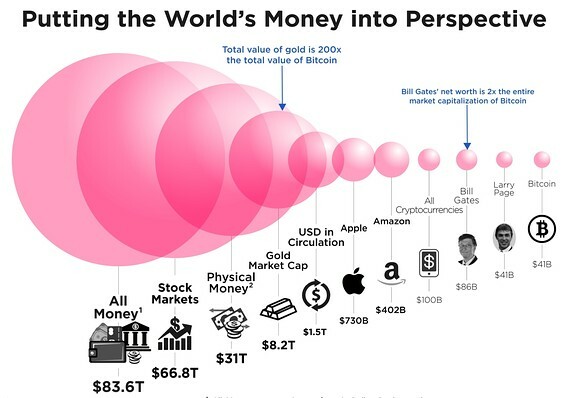 Cryptocurrencies have a combined market cap of less than $600 billion at present. No wonder they are the world’s fastest growing asset class because investors see a massive upside potential in this market cap. At the current market rates of Bitcoin, it will take only about 120,000 Bitcoins for an investor to get to a holding of $1 billion. Cameron and Tyler Winklevoss, the brothers who famously sued Facebook in its early days and got $64 million in compensation, became one of the earliest Bitcoin investors in 2012. They used $11 million from their compensation to purchase Bitcoins at a price of $120. Their current Bitcoin holding, according to Forbes, is estimated to be around $700 million. The Commission said that a majority of Bitcoin trading continues to occur on unregulated venues abroad, which are relatively new, and typically appear to trade only digital assets. The key sticking point for the SEC remains that a large part of the Bitcoin trade takes place outside the United States. The news of rejection of the Winklevoss ETF immediately led to a drop in the Bitcoin market price. Investors who had pinned high hopes on gaining some legitimacy from the SEC with this ETF expressed their disappointment by triggering sell-offs in the Bitcoin market. Although the rejection of the Winklevoss ETF managed to rattle the market for a while, investors are now excited all over again with another ETF proposed by VanEck and sponsored by the CBOE. The SEC is currently examining an application from the CBOE (Chicago Board Options Exchange) Global Markets. If this application gets approved, it would give the company a prized Bitcoin ETF license, and open the gates for a large number of institutional and individual investors into the Bitcoin field. The process for this ETF is already underway since June 2018, when the SEC sought feedback from industry professionals about this ETF. A number of financial giants have said in the past that Bitcoin-based ETFs could be the key to financial innovation. Companies such as JPMorgan have called them the “holy grail for investors and owners.” If CBOE’s application gets passed, options for client investments will open in the first quarter of 2019. Bitcoin experts such as Arthur Hayes, co-founder and CEO of the BitMEX crypto exchange recently said on CNBC that the world is just one positive regulatory decision away (which could be an ETF approved by the SEC) from seeing the price of Bitcoin currency climb through $20,000 and even $50,000 by the end of 2018. A vast majority of Americans simply do not understand the crypto technology, and have no urge to invest in Bitcoins at present. A Bitcoin ETF could change that. A Bitcoin ETF would also ensure security of the digital currency it owned, and would use the most powerful techniques to keep it safe. That would encourage people to invest in this asset class, and the true value and true market cap of cryptocurrencies such as Bitcoin could be unleashed. 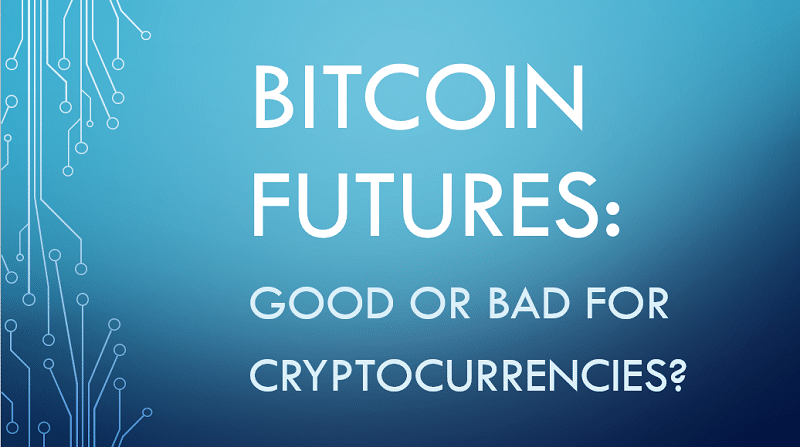 How Do Bitcoin Futures Affect the Price?